The wonder of light has fascinated readers for ages. 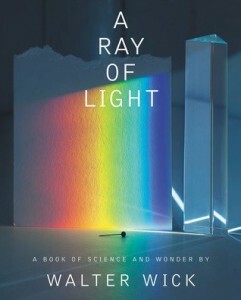 Walter Wick's mesmerizing photographs paired with simple yet fascinating text and scientific observations help readers understand the secrets and complexity of light. You will learn what light is made of and how it fits alongside everything else in the world. Walter introduces readers into the mystery behind incandescence, light waves, the color spectrum, and iridescence as well as how we perceive light in our world and beyond. Walter Wick demonstrates that science and art both offer ways to observe the world around us.